Title : T'in-ch'i. Date : AD 1621 to 1627. Denomination : Bronze 1 cash. Size : 24.0 mm. Weight : 2.50 grams. Grade : aF but cast with one ragged spot on the edge. 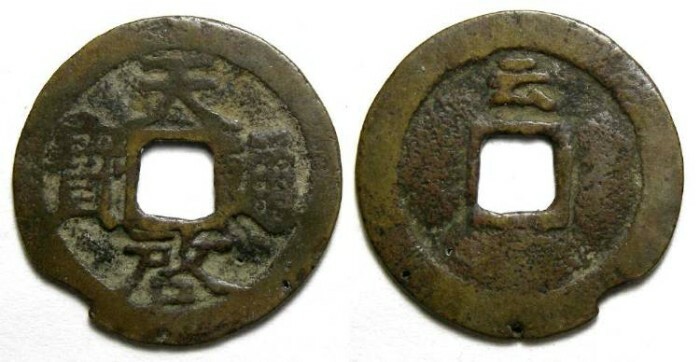 Reverse : "Yun" at the top (short of the Yunnan mint).